Andrew May 2, 2018 FEATURE STORY, Slide No Comments on Fly fishing in the District of Columbia… Yes, you can. Washington, D.C. is situated along the glorious Potomac and Anacostia rivers. The Potomac, lovingly nicknamed the “Nation’s River”, rides along 400 miles from West Virginia through Virginia before reaching the shores of our capitol. The Anacostia flows a shorter trail, but still a substantive nine-miles long, through Maryland on the east side of the city. Both rivers have suffered through years of neglect, but intervention by government and citizen programs have helped rectify that. Years of dumping, pollution, and inattention has turned this once 20 foot deep navigable waterway that allowed shipping all the way upstream to Bladensburg to now be reduced to a silt-laden river 5-6 feet deep from the New York Avenue bridge all the way up to its tributaries. Yet care for the river in recent years, cleanup initiatives, government and private organization intervention, and an all new riverfront trail construction has propped this river up for the better. Wild rice and other native plants and grasses that grow from Navy Yard all the way up past Kenilworth Aquatic Gardens provide cover for baitfish and predators. Largemouth bass, catfish, white and yellow perch, carp, and the elusive northern snakehead all inhabit this watershed. The heavy siltation and fluctuating tides creates a low-visibility environment most of the time, so tides and sunlight is important to consistently catching fish here. Much of the shorelines are now protected by park lands and trails making the area a good place to call home for many species of wildlife. The Potomac and Anacostia waterways are considered natural highways for birds, mammals, and fish, mirroring, and almost rivaling, the traffic congested area along the 495 and I-95 corridor circling D.C. It’s a busy region now for all forms of life. Although there are several nonprofits dedicated to protecting habitats, the area, especially water preservation projects support, need continued vigilance. The natural areas of the city’s sanctuaries require sentinels to keep the abundance and fullness of the urban ecosystem stable and sustained. Organizations like The Potomac Conservancy and Environment Virginia have taken on that burden, and are leading the way in clean water and wildlife conservation. 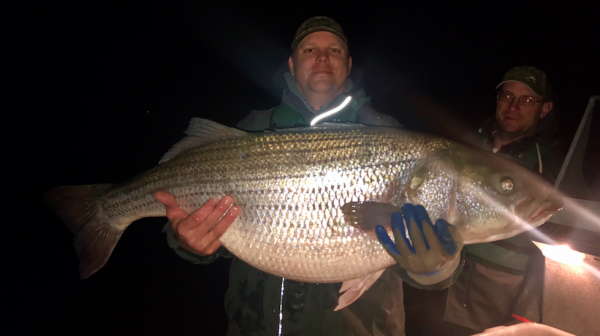 Such conservation advocacy also helps to preserve the region’s recreational business ecosystem, which as of right now is healthy and flourishing in the tidal Potomac area. One such business, Tidal Potomac Fly Rodders, teaches fly fishing and holds events in the D.C. metro area. For more information on fishing the Potomac, what you need and where to go, check out the FAQ section on Tidal Potomac Fly Rodders’ website. Fisherman and non-fisherman alike have drawn together to celebrate and to help continue to improve and protect the Potomac. 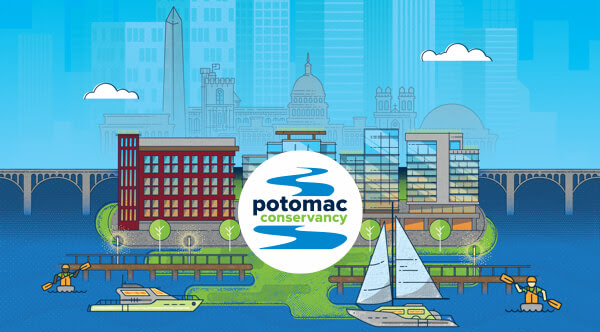 One such event is being held by the Potomac Conservancy at the new District Wharf on May 17. At this popular event, called Take Me To The River, you’ll enjoy delicious food and drink and help raise funds to restore clean water to DC’s hometown river. Proceeds will support local conservation to keep pollution out of our streams, creeks, and drinking water sources! District Angling is an independent company formed to fill a small niche in the Washington DC area. They cater to fishermen wanting access to local fisheries and specialize in fly fishing. Their brick and mortar buildout is finally complete and they’re open for business at 2105 North Pollard Street in Arlington, VA.